Whitman Vikings place 8th overall as a team at 4a/3a State Tournament! Posted on March 21, 2008 by Dona | Comments Off on Whitman Vikings place 8th overall as a team at 4a/3a State Tournament! 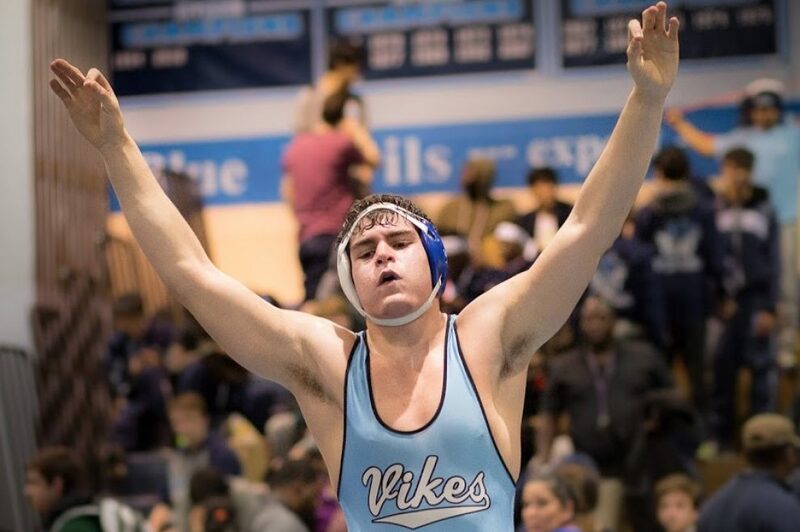 The Whitman Vikings came to Cole Field House with 7 overall State Qualifiers! They included returning State placer Aaron Norris, and returning qualifier Taylor Leighton. In addition Joe Hancher, Michael Harder, Eric Beverly, Steven Fisher and Danny Lee also qualified for States. The entire weekend saw all of the guys work hard and have some very exciting matches. Five of our wrestlers managed to place among the top six of their weight class and earn a spot on the medal stand. Top placers were Beverly and Leighton who fought hard to place 4th overall. Norris, Fisher, and Lee all placed 6th overall. Thanks to help from all of our guys the Viking squad placed 8th overall as a team. This entry was posted in Tournaments and tagged Maryland State Tournament wrestling. Bookmark the permalink.